« It’s a first for Janie! 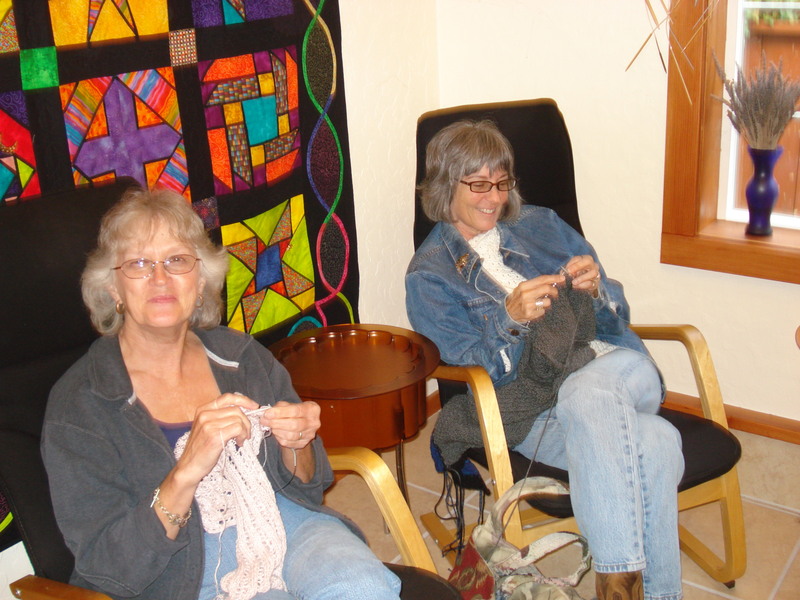 A couple of weeks ago our Saturday morning knitting group went on a “field trip”. 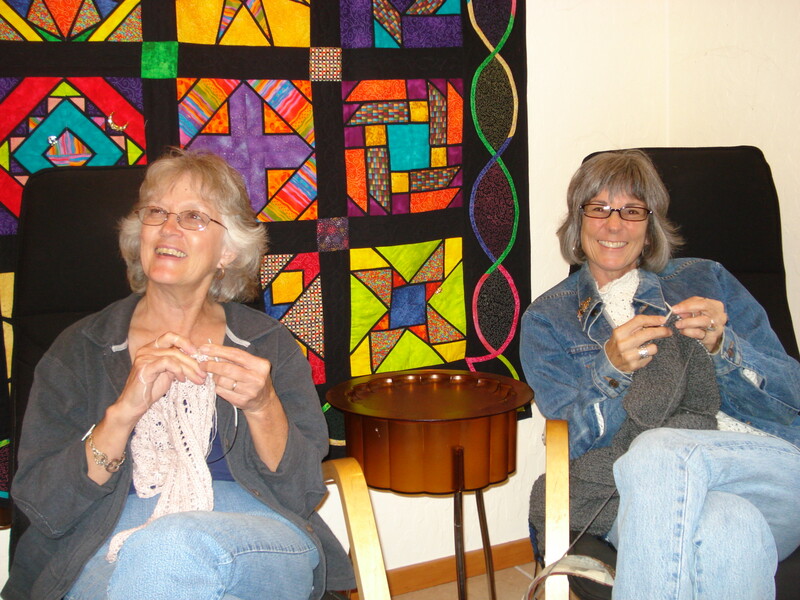 We traveled to Artfibers in Pinole and knit amongst the wonderful fibers. Some of us walked away with yarn for new projects. 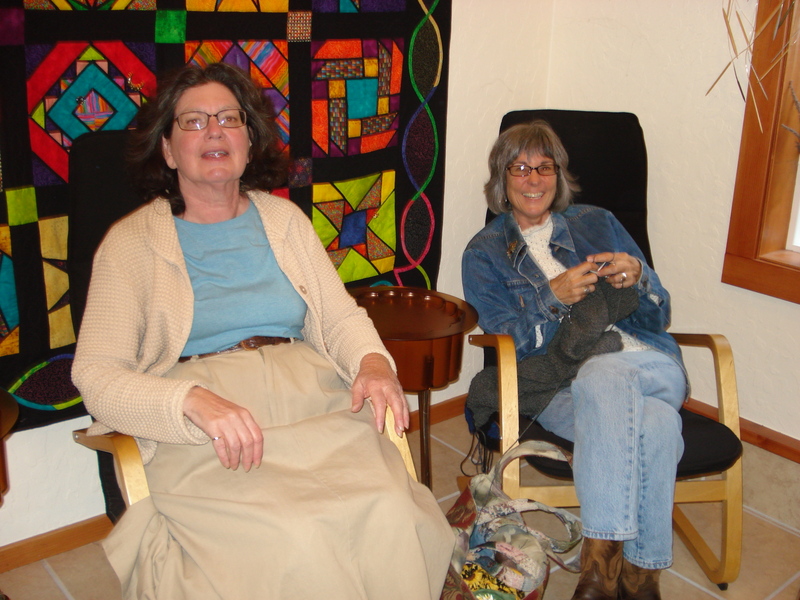 Diane and I looked, awed, and then sat down to knit on existing projects. I am knitting a summer shell/tank out of MaggiKnits linen in dusty rose. Diane is knitting a stole with Queensland Collection’s Kathmandu in smoky gray (yarn available through Skein Lane Studio) – it is trimmed with Crystal Palace’s Waikiki in a deep vibrant blue. Will show both when completed. Notice the colorful quilt that is hanging on the wall behind of us. I emailed Rox of Artfibers last night and here’s her info on the beautiful quilt. 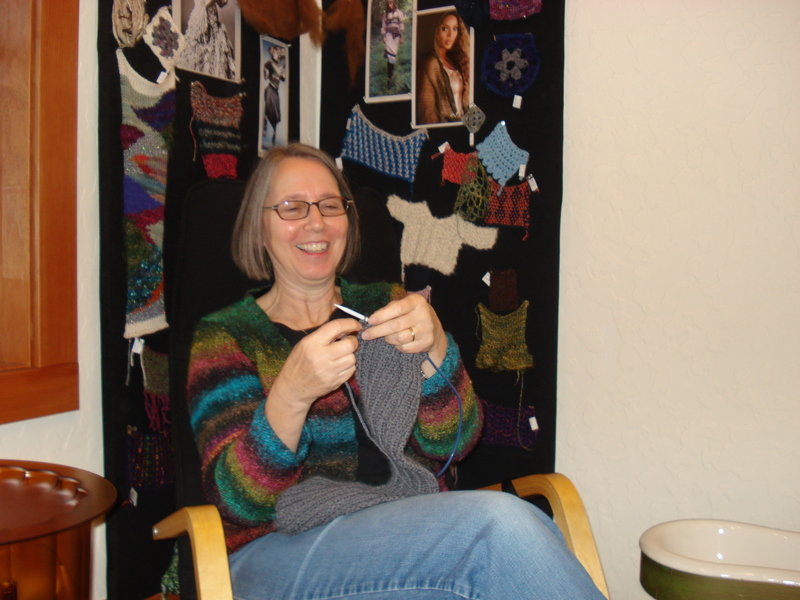 PJ is knitting a scarf for her son Sam – she is knitting it in Bouton d’or’s Ksar – the pattern Textural Scarf in Scarves by Judith. Check out the Ravelry link http://www.ravelry.com/projects/PJKnitsUFOs/textural. PJ did purchase some yarn, She bought 1300 yards of Tsuki, a silk/mohair laceweight that she plans to carry along with some merino that she purchased when when traveled in New Zealand. Her thought is she will make a cardigan, but so far she has only swatched and sketched. Words directly from PJ. It was a fun time knitting and shopping (for some) at Artfibers. We will journey there again. Carol had fun selecting new yarn and then relaxed as you can see in the last photo. Nina and Terry were off shopping when these photos were taken!